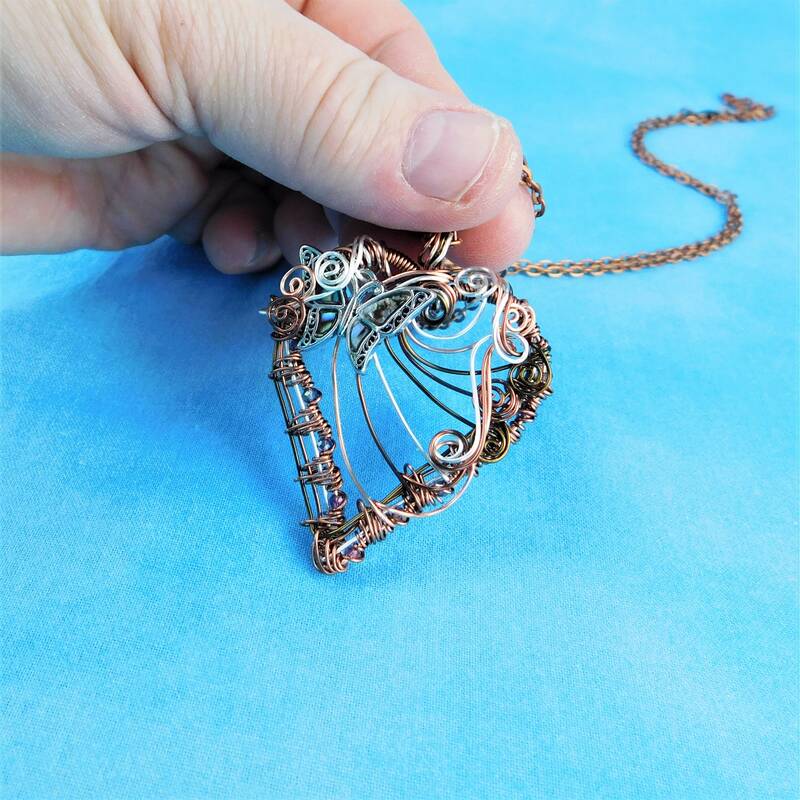 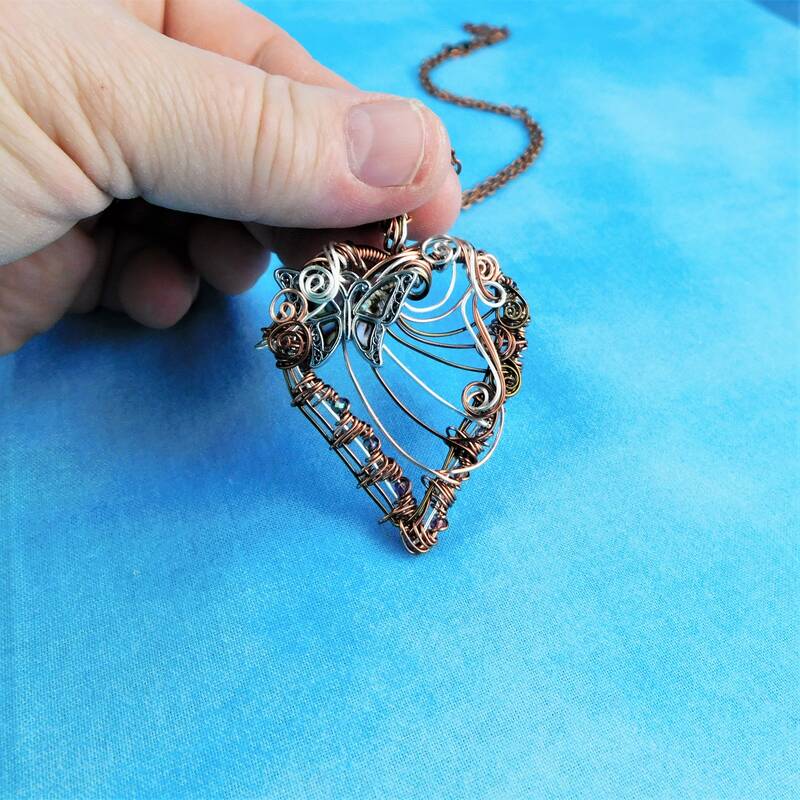 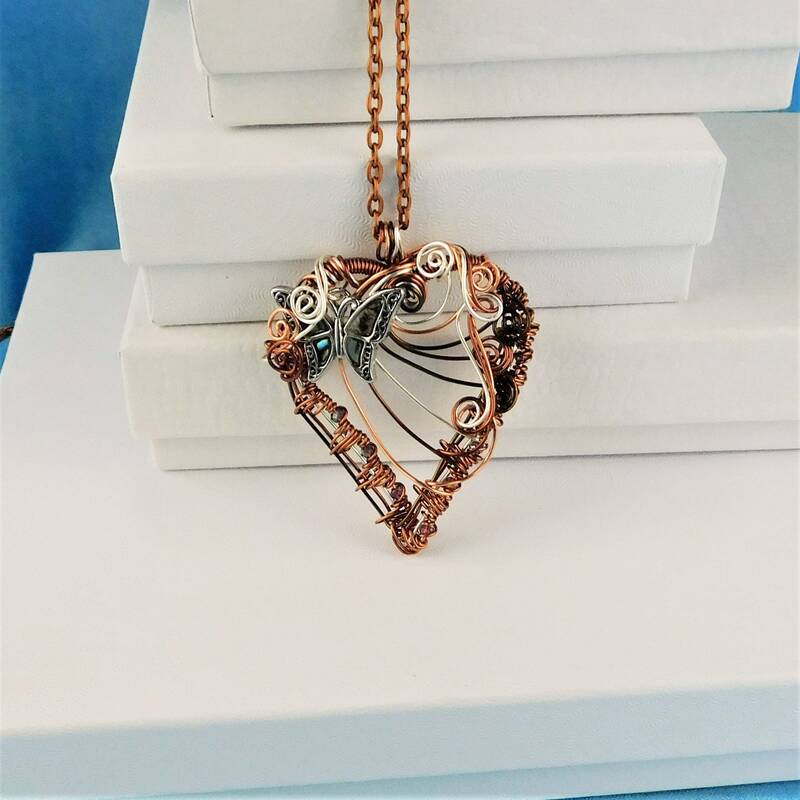 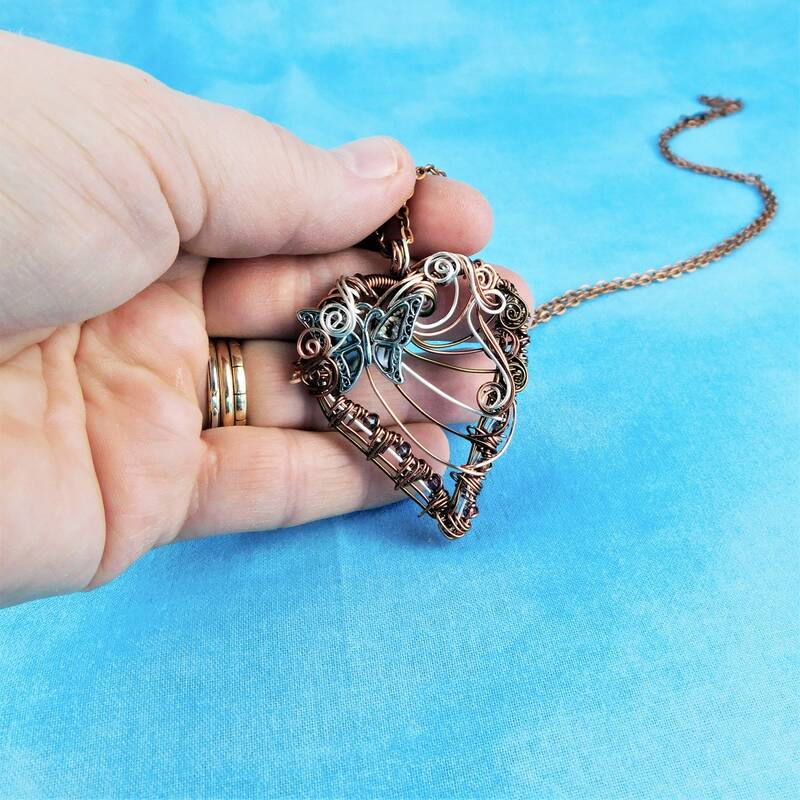 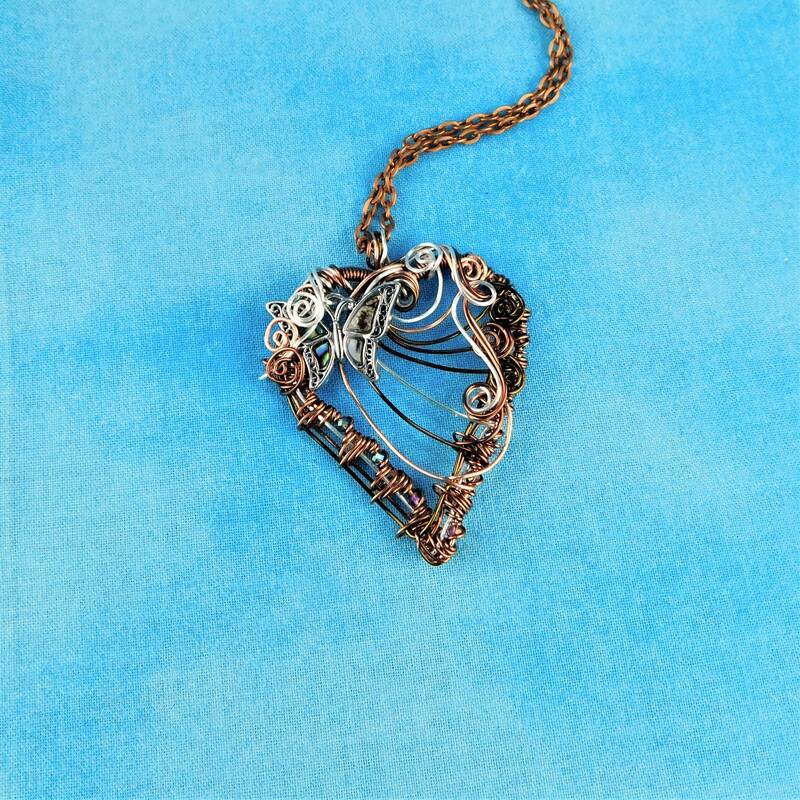 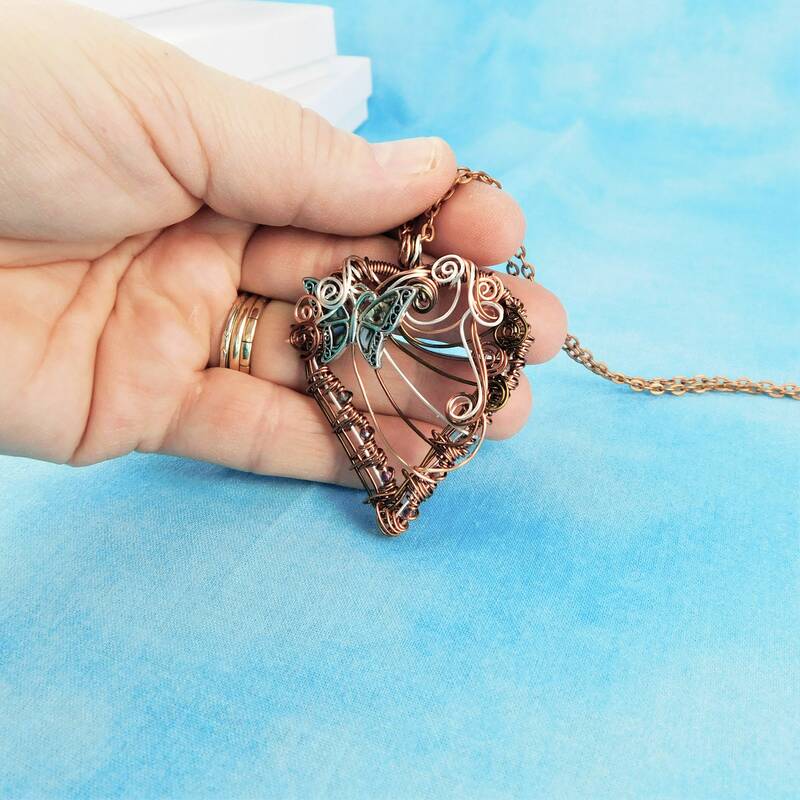 A lovely butterfly with abalone wings, flits around a hand woven multi-tone, non tarnish, copper wire heart frame, interwoven with dark copper colored crystals. 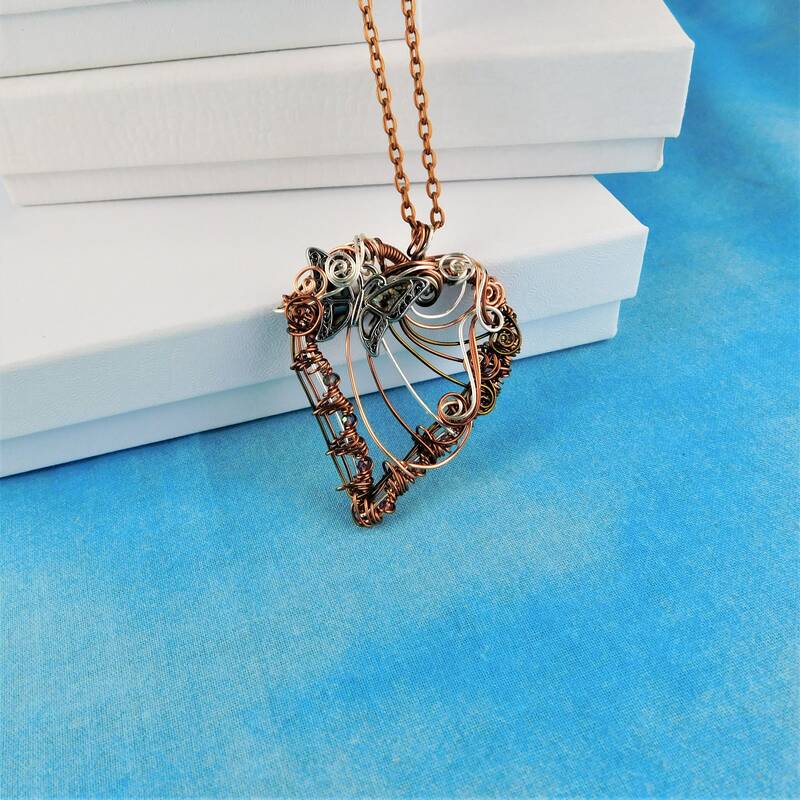 The sweeping strands of copper wire suggest movement among flowers and vines. 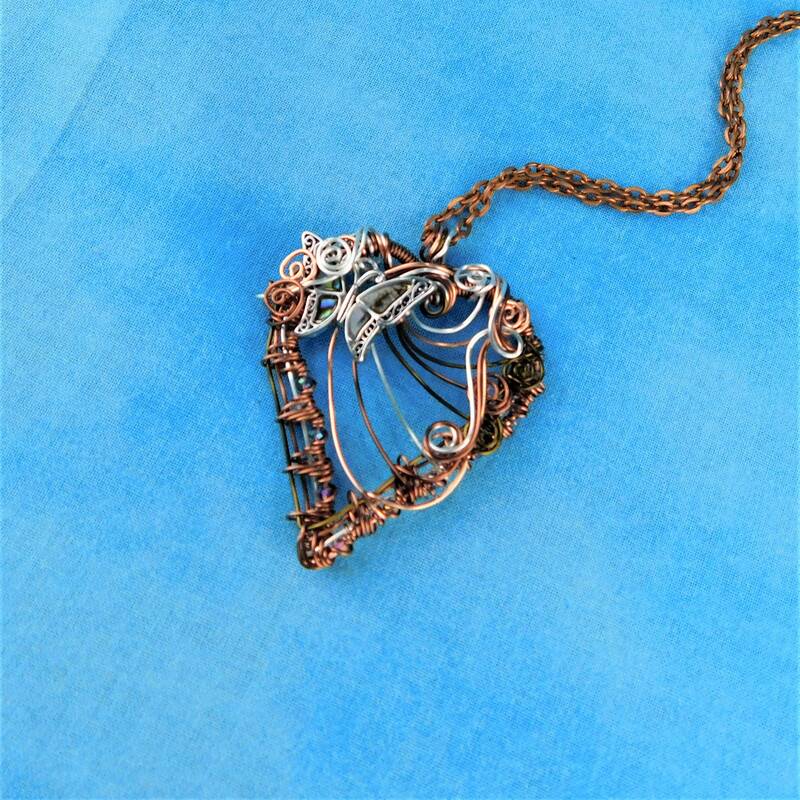 This is a one of a kind piece of wearable art that is the perfect gift for a one of a kind woman. 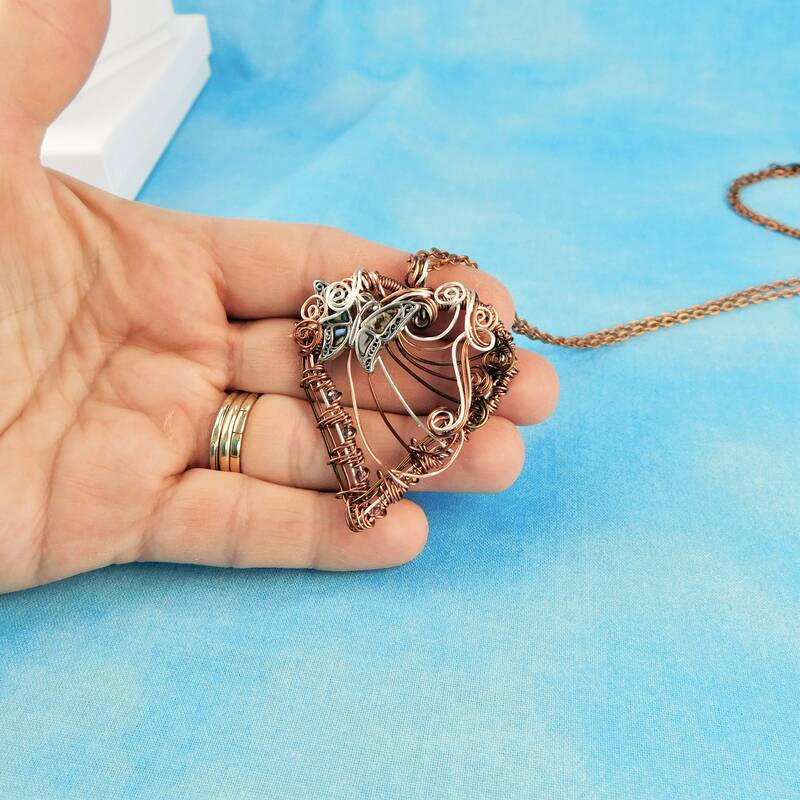 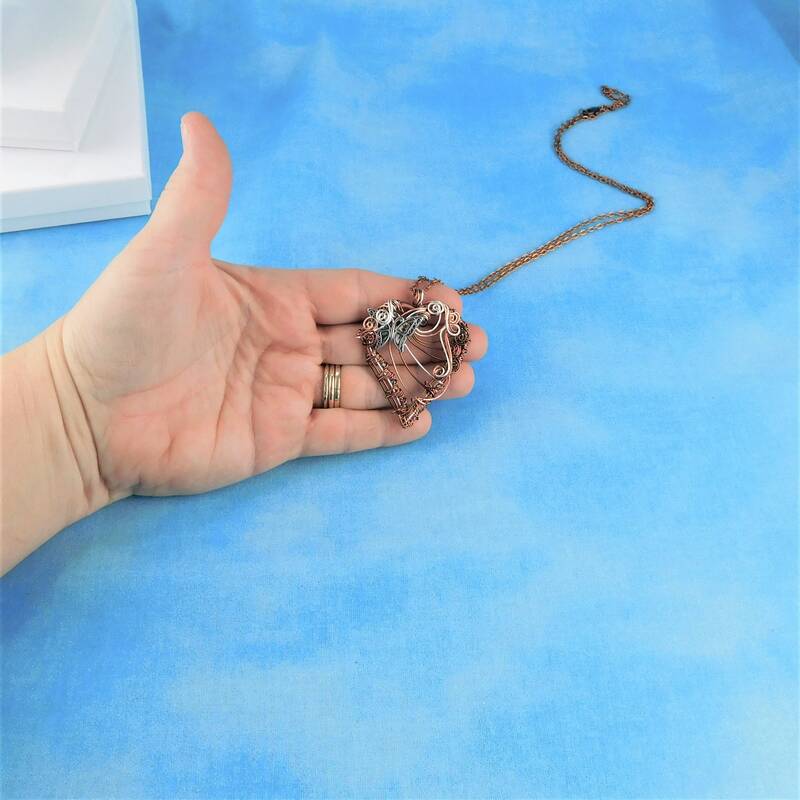 The heart measures 2 inches by 2 inches and comes with a FREE coordinating chain with lobster claw clasp, measured to your preferred length.